Wide water views greet you from the screened balcony of this 4th floor 2-bedroom condo directly located on the Intracoastal Waterway. Split bedrooms and a combined dining and living space provide for an easy floorplan - the kitchen and guest room offer calming sights of the beautifully landscaped grounds and a peak at the ocean. Bring your favorite design ideas and transform this blank canvas to suit your style. 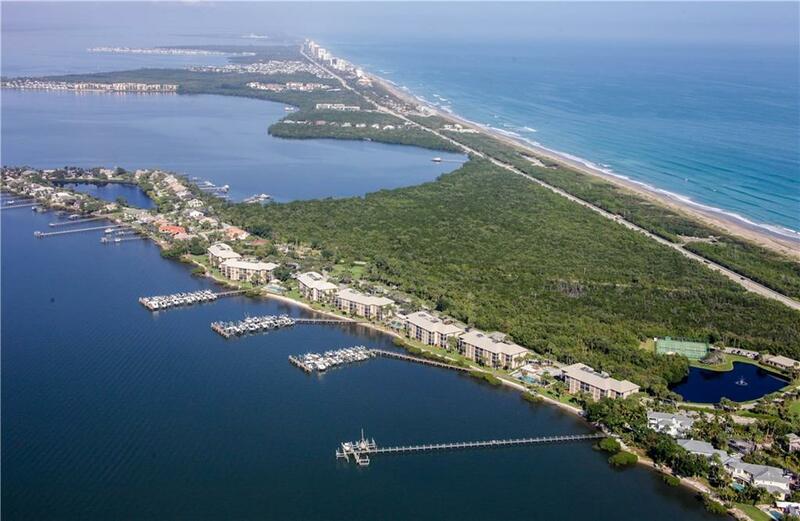 Discover one of Hutchinson Island's most sought after communities, including 5 pools, private beach access, marina slips for rent at $1.50/linear foot per month, kayak storage & tennis in a beautifully landscaped environment.